What is it that the White Rabbit says in Alice in Wonderland? Oh yeah, it's, "Oh dear! Oh dear! I shall be too late!" That seems to be the motto of my blog nowadays. *shrugs* But I said I wouldn't apologize any longer, so . . . I'm not sorry (although I actually am). Now, way back when this blog was started, you were promised posts about video games. And guess what? They haven't talked about yet! 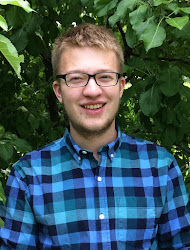 Can you believe the nerve of this blogger, making promises he can't keep? Someone oughta find him and--wait a minute. I made that promise, because I'm referring to myself in third person again. Heh heh . . .
Ahem. Weird and awkward intro aside, I'd like to give you guys a bunch of reviews, seeing as I said I'd do those too. 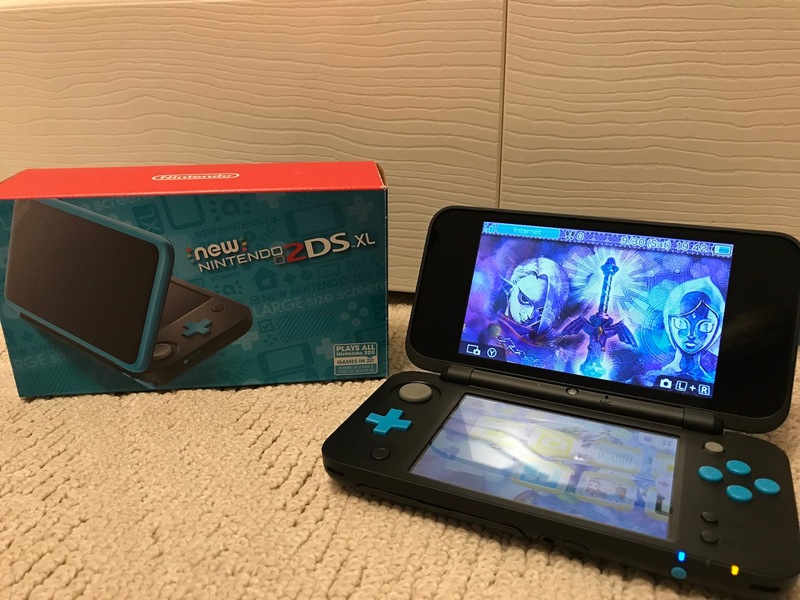 This summer, I got a New Nintendo 2DS XL, my first brand-new handheld system. All of my other ones have been preowned, in case you were wondering. I have a handful of games for it, so I figured I would do mini reviews on them. These won't be the kind where I make lists of good and bad content. I'm just going to give my thoughts on them, based on what I've played so far. But before we get to the games, we need to talk about the system itself! I originally wanted to buy a 2DS for a couple of reasons. First, I had tried the 3D function on the 3DS, and I didn't really care for it. I found it more disorienting than anything else. My second reason was because the 2DS was cheaper, at only $75 or so Canadian for a refurbished one. Then Nintendo announced the New Nintendo 2DS XL, and I knew I was going to wait for that instead. Why? Because it was bigger, better, and folded shut, unlike the original 2DS. The name of the system is a mouthful, I know, but that's not what is most important. The system is pretty comfortable to hold, although you have to make sure you grab it on the sides and not close to the bottom so that you don't cover the speakers. People have said that the system's sound is tinny. I'm not an uber-techie guy or anything, but I think the sound is perfectly fine. However, I've started using earbuds when playing because you have to turn the volume up fairly high to hear it well without headphones or earbuds. I love using the Circle Pad instead of the arrows. It makes movement in games so much more natural. You can't see them here, but on the back of the system are the L, R, ZL, and ZR buttons, all of which are not a pain to use. The hinge is a little wobbly, though not too bad. Now, I have yet to figure out which games make good use of the C Stick (that little gray nob up on the top right); supposedly it's for "enhanced controls," as the box claims. The game and SD cards are protected by a flap, making them harder to accidentally pop out. I almost didn't find the stylus at first, but it's right next to the headphone jack. I don't have a screen protector on the touch screen, but it's holding up well. I'm very careful not to apply excessive pressure on it. A light touch will do much of the time. The system can read amiibo, so that's a plus. I'm not sure what else to say, because this is supposed to be a MINI review. Suffice it to say that at the price it comes at ($200 Canadian, $150 US), it's definitely worth picking up if you want to give those 3DS games a whirl. I absolutely love the Mario & Luigi series. They're great RPGs with a sense of humor that never fails to make me laugh or grin. Dream Team is just as witty as its predecessors, and it's got a new animation style to boot. While I loved the look of both Bowser's Inside Story and Partners in Time, the improved design is better, in my opinion. The story is that the Mario Bros. are taking a vacation with Peach and her Toad entourage on Pi'illo Island. They are warmly greeted when they arrive, but not all bodes well. An ancient evil known as Antasma, a bat lord of nightmares, has got a heinous plot brewing. 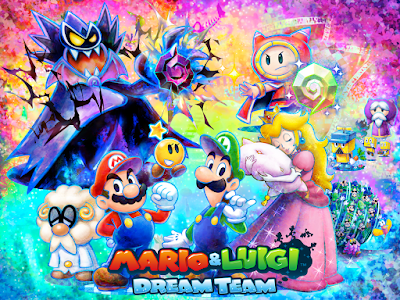 When Luigi falls asleep on a magical pillow and opens a portal to the Dream World, Antasma snatches the pink princess. It's up to the bros to save her and defeat the villain by crossing between reality and dreams. Everything about this game is just so fun: the combat, the dialogue, the score, and everything in between. While I would say that you should probably play the M&L games in order (it's technically not necessary, but some characters are in multiple games), you could probably pick this game up and still really enjoy it. 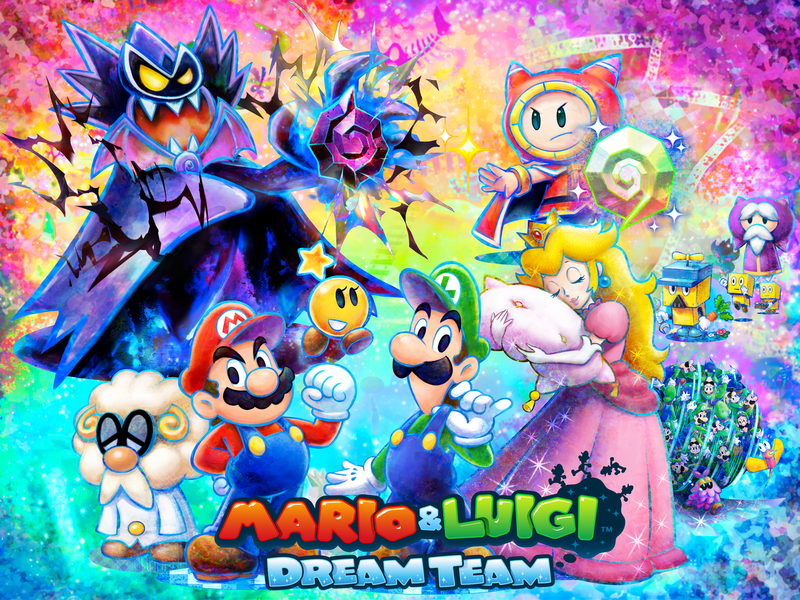 I give Dream Team a hearty recommendation, as it's one of my favorite 3DS games that I've played so far. 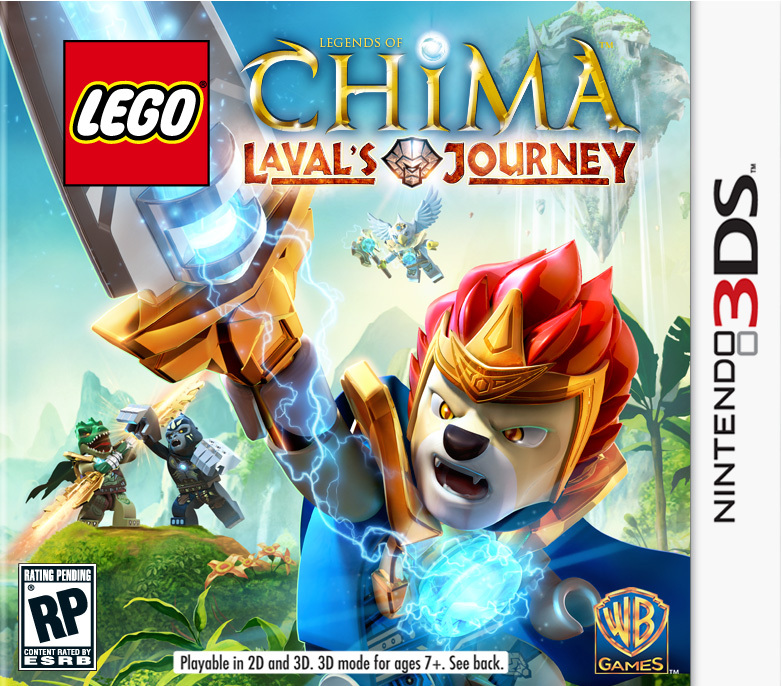 I already owned Laval's Journey for my DS, but I was able to get it for free due to a deal at the game store I bought it at. I thought, "What the heck?" So far, I don't regret my choice. In a world filled with anthropomorphic animal tribes, Laval was best friends with Cragger, but things have gone sour (the backstory to this is explained in the TV show). The game starts with the two jousting each other on Speedors. Cragger wins and claims his prize of Chi orbs, which give a warrior great power for a limited time. Laval, unhappy with the loss, wanders off and stumbles upon Cragger beginning to unleash a sinister plot that involves the legendary Triple Chi Armor. Laval will need his friends if he wants to save the day, but can they do it in time? This game has improved from the DS version. The hub is a lot more interesting to walk around, there's extra content, and the levels have less loading screens. There is more voiced dialogue here than there was in the DS game, which could be considered bad for some people, since the voice actors aren't spectacular. Other than that, it's an entertaining installment in the LEGO video game collection. If I'm not mistaken, this is one of the first truly different Animal Crossing games. 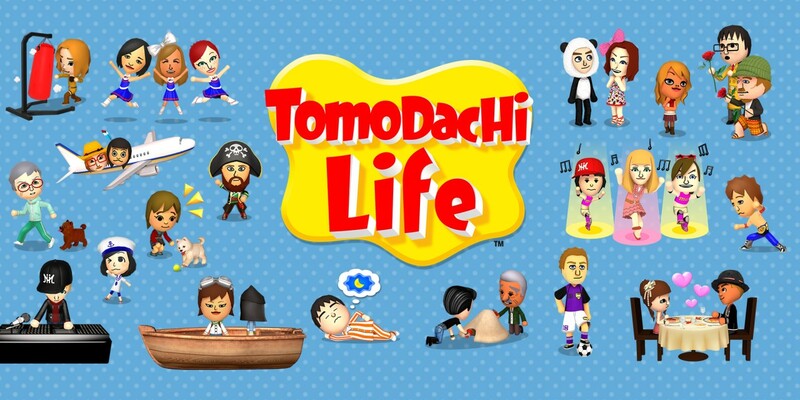 For those of you who aren't familiar with the series, they're fun little games about just living life. You own a home with a mortgage, you make friends with your animal neighbors, you catch bugs and fish, and much more. 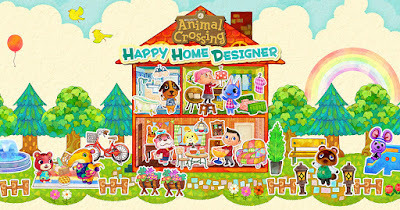 Happy Home Designer is a different spin on that. There isn't a whole lot of plot involved. 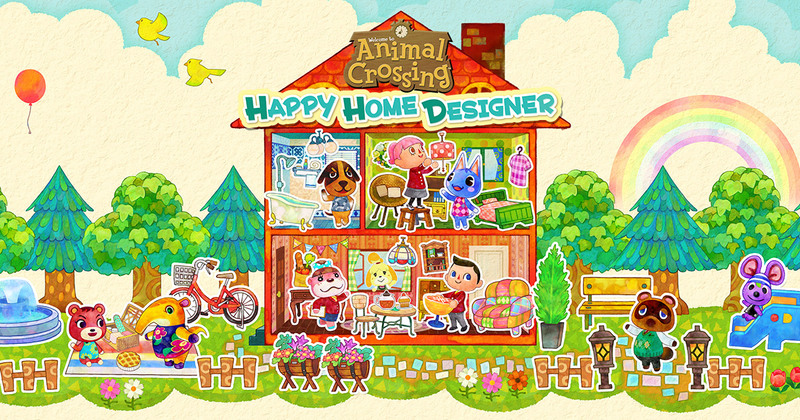 You make your character, who joins the Happy Home Academy. Animals come to you when they wish to get a new look for their house. It's your job to design it and fill whatever needs they have. Who loves free games? I certainly do! But sometimes free games are free for a reason: because they aren't great, and no one would play them if they were P2P (pay-to-play, for all you non-gamers). This is definitely not the case with Team Kirby Clash Deluxe! This honestly has got to be one of the best free games I've ever played. There isn't a ton of story involved. A faraway land called the Dream Kingdom is assaulted by a slew of monsters. A team of four Kirbys must set out to take them down. This is where the real fun comes in. For the battles, you can choose between four classes. There's the swordsman, a swift, up-close-and-personal fighter who can generate a large shield to protect his teammates. We have the mage (my personal favorite), whose beams can attack right next to the baddie or from across the battlefield. He can even stop time for a spell to give his team the advantage. The warrior wields a ferocious hammer capable of doing a ton of damage, but he's slow and unable to fly high. Lastly, the medic is poor at fighting, but he unleashes healing areas for his friends to recover and charge back into the fight. I won't get into all the aspects of battles, but I quite enjoy playing this game. It's simple and easy to get into, and some of the bosses prove to be tough challengers. Speaking of your combatants, it's fun seeing both old and new foes appear. For example, Landia from Kirby's Return to Dream Land shows up. As he started using his original moves, I figured I'd have an easy time defeating him. I soon discovered that his attacks had been given significantly more power and did a tremendous amount of damage. I have yet to beat this fiend, but I'm glad that not every enemy is beaten in one shot. When I first saw trailers for this game, I thought it looked really strange. My opinion changed when I watched the popular YouTuber DanTDM play the game. I've decided to buy it, and it's been a real hoot. (For some reason, saying that either makes me sound old or like a hillbilly, and I have no idea why.) My youngest two sisters have watched me play, and that's only enhanced the experience. I'll say it right up front: if you want a game with a story, this is not the game for you. It's a sim game, which means you're taking care of people's needs and trying to make them happy. You live on an island where you can create anyone you imagine. On my island, I have everyone from me and my sisters to Markiplier to sans and Papyrus from Undertale to an evil version of me. The interactions between the characters are amusing, and the program used to make the voices heightens the humor. Often when I play, I can spend an hour or so without even realizing it's been that long. While you do some of the same things over and over again, it manages not to get tiring. Using your creativity in making Miis definitely helps. A whole bunch of unique characters on your island make for some pretty interesting times. I'm always wondering who's going to become friends or a couple (just so you know, homosexual couples don't occur on the game). This is a fun, quirky sim game that'll keep you entertained for many hours. I'm a huge fan of Kirby games. You might even say that they've sucked me right in. Get it? . . . It was a good pun. You know you laughed. Anyway, Kirby's Return to Dream Land is probably my favorite of his games. It's a classic, in my mind. 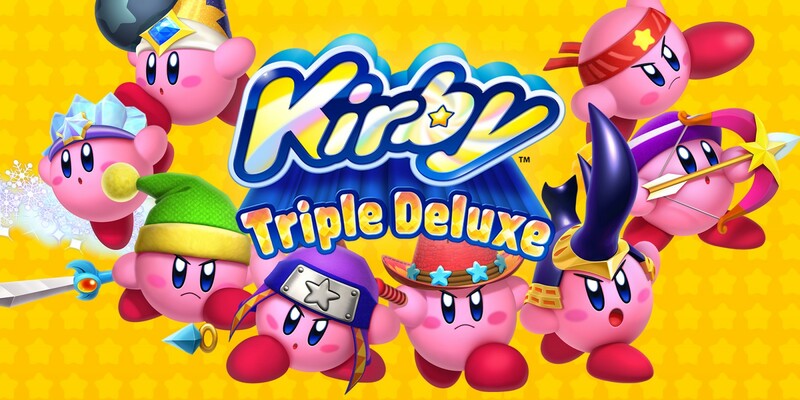 Animated in the same style, Kirby: Triple Deluxe (his first game on the 3DS) is just as good. That's not to say I'd consider it a classic, but maybe I will by the time I reach the end. The story goes that Kirby is living a happy, normal life of eating, having fun, and sleeping. One night, as the pink puffball slumbers, vines wrap around his house. He wakes up the next morning to find that a giant beanstalk has lifted his home high into the sky. Spotting the castle not far away, he goes to check on his old nemesis, King Dedede. Perhaps the lout is behind this trouble once again. Upon arriving, Kirby encounters a six-handed miscreant by the name of Taranza, who looks like he might be related to Magolor from Return. 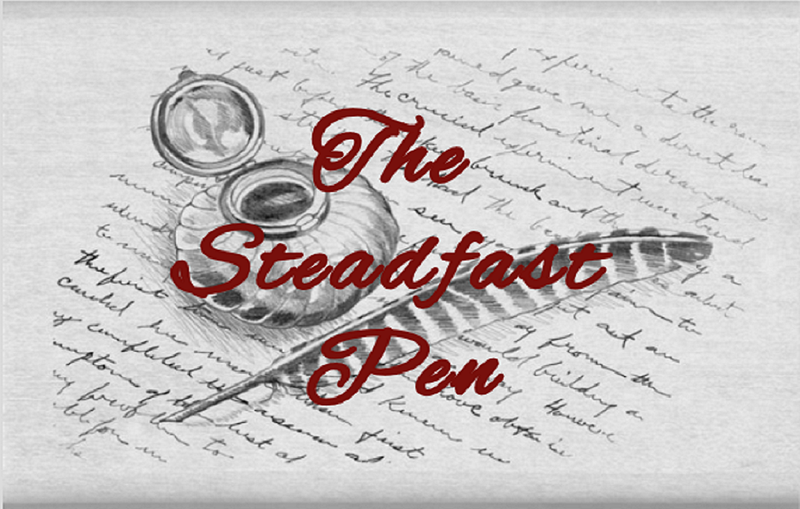 The nasty fellow beats back all of the king's guards and kidnaps him. Like the hero he is, Kirby isn't about to let Dedede come to harm, so he gives pursuit further up the beanstalk to Floralia, an archipelago consisting of six floating islands. The gameplay is much like any Kirby game. New abilities have been added, such as Circus and Beetle. Whereas Return went for the traditional worlds--forest, desert, ocean, etc.--Triple Deluxe gets unique. One of my favorites is Wild World, a jungle world that hides a temple or two at its heart. 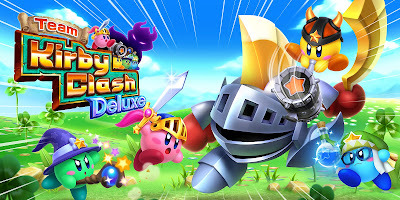 This is a fantastic game, also like any Kirby game. Whether it's your first venture into the Kirby franchise or you're a seasoned veteran, you're sure to see the game's appeal, which includes new 3D elements. 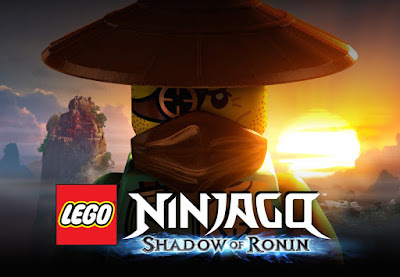 You guys all know how much I love the Ninjago TV show. 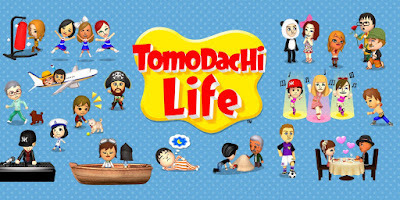 When this game came out, I desperately wanted to play it. I had heard good things about it from a friend of mine in the UK, so that made me want it more. I finally got my chance. Taking place between seasons 4 and 5 of the show, the plot starts with the Ninja relating their experiences on Chen's Island--in a dramatic, not-entirely-true way. Sensei Wu interrupts their storytelling to remind them to train. Their friend, Dareth, has brought some of his finest students to help them hone their skills. However, the students are actually frauds who wish to harm the Ninja. They've been sent by Ronin, a shady man who steals the heroes's memories. Now they must regain both their powers and their memories while thwarting Ronin's scheme. If you've played any LEGO games, you know the drill. You go through levels smashing objects, fighting enemies, and solving puzzles. The way the levels work confused me at first, though. You do three short levels in a row, and they kinda count as one big level. (It sounds weird, I know; I can't think of any other way to describe it.) The voice actors are, unfortunately, not the same as the ones in the show. I'd have to say that, while it's not a superb game based on what I've played so far, it is enjoyable and still worth picking up, especially if you watch the show. The Animal Crossing series is great for casual gamers. They're very relaxing, and it's easy to spend a lot of time hunting down fossils, running errands for your neighbors, and listening to K.K. Slider belt out a tune for you on Saturday night. New Leaf - Welcome amiibo does what the other games did well and gives you more. In this game, you arrive at a town and are mistaken for its new mayor. You must pick up the mantle and get on good terms with the townsfolk so you can work on various projects and do your mayoral duties. I won't cover all the new features here, but you can swim if you have scuba gear, your stores are all in one section of town, there's an island you can eventually travel to, and much more. The Welcome amiibo edition of this game adds amiibo compatibility and other things. By clicking the link under the picture, you can read what those new features are. Ever played a Zelda game and thought, "Man, wouldn't it be great if I could adventure with my friends? I mean, they did that in Four Swords, but I want that feature in a new and improved game"? Well, Nintendo has heard your pleas and answered the call with Tri Force Heroes! No, that's a not spelling mistake. I'm a Nintendo nerd, so I know how to spell Triforce correctly. The title is a play on words, actually. See, here's the scoop: in the fashionable realm of Hytopia, Princess Styla rules fairly and, of course, fashionably. But while the land's denizens adore her, the witch of the Drablands, Lady Maud, despises her. So she sends a gift to the princess, only it's not really a gift. It's a curse that forces Styla to only wear a brown onesie, which is clearly not fashionable. Her father calls upon heroes from nearby kingdoms to save them from this fashion disaster, hoping that the legendary Tri Force Heroes will appear to win the day. While the story may not take itself terribly seriously, this is still a blast to play. You and two of your friends (or just random online people) can quest together as green, red, and blue Link. Or you can just play by yourself, like I've been doing. I think that makes the game harder, as I have to switch between the three characters. Having more than one Link to play with adds a level of challenge to the whole experience. It's a unique game with plenty of costumes to get (betcha never thought you would see Link wearing Zelda's dress, huh? 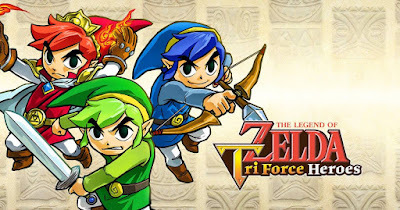 ), and I highly recommend it to anyone looking for a different type of Legend of Zelda game.